My Niece Thaileah acting a part with the image of a street in Nazareth as the background. I had made that image of Nazareth as a teenager, almost sixty years ago. 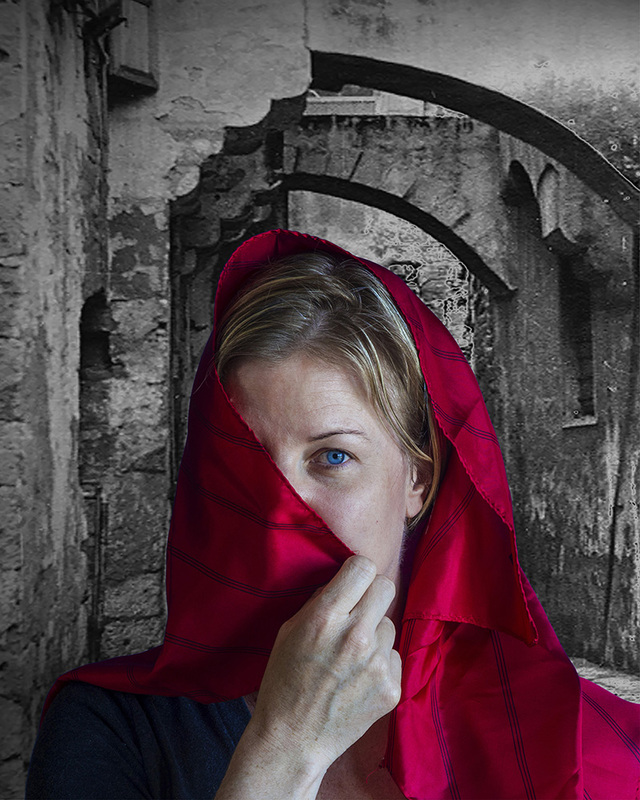 The contrast between the ancient grey stones and a young, blue-eyed, blond woman in a red scarf were an irresistable combination.